We often utter the word, "Waheguru" in remembrance of the creator. The everlasting, omnipresent creator of the creation beyond time that cannot be described in any words, is often referred to as Waheguru. The word Waheguru is comprised of two words, Wahe and Guru. Wahe is an exclamation of ecstasy and wonder upon realization of amazing creation and one creator. Guru means teacher or light. Creation is constantly transforming, evolving, perpetually sustaining itself, intertwined as one in complex yet simple manners, is beyond comprehension of a mind devoid of Guru. Even though the creation is incomprehensible and creator beyond our thoughts, it is important to comprehend the incomprehensible creation to realize meaning of the word, Waheguru. By comprehending the creation, our understanding is meant to fall short, for us to realize our reality to make us aware of infinitesimal nature of our ego. I, mine and attachments emanating from pride are meant to vanish in realization of impermanent nature of our existence in separation from creator as ego. When our mind dwells in praise of the creator by thinking of vastness, magnificence and self-sustainability in form of a tiny cell to human body, in form of water drop to oceans, in form of earth to solar system, in form of solar system to Milky Way, in form of Milky Way to galaxies, in form of galaxies to universe, and so on, our mind reaches a point of no return. This point can be referred to as infinity, where mind is not able to think devoid of all thoughts or function; a state of awe. The greatness of creation will leave us spell bound in wonderment and ecstatically without effort one utters Wah- Guru. Realization of meaning of Waheguru in this context provides a new relevance to our personal existence as human beings in a physical body. Hold in reference infinity, the point of no return, beyond which there is no ego. In this context, earth is a grain of sand and we as billions of human bodies along with other life forms hardly exist. Our pain, stress, anxiety, fear and worry become meaningless in this context. Such is the splendor of understanding meaning of word, Waheguru where by the mind becomes free of all pains. The power of realization is immeasurable compared to power of understanding meaning of a word. The power of wisdom (awareness of oneness through one creator) is far greater than understanding through intellect (duality or ignorance in light of wisdom). Realization is transformation of our existene from intellect to wisdom. One can claim to be intellectual, but one can only belong to wisdom. This transformation from intellect to Wisdom, from manmukh to gurmukh is result of realization of Waheguru by grace of Waheguru. Realization here signifies union with Waheguru. 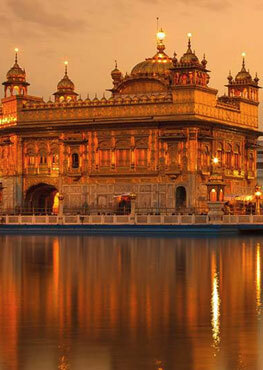 Understanding of meaning of Waheguru is limited to acknowledging grandeur of creation. Realization of Waheguru is awareness of existence of the one creator in every molecule of creation. Realization of Waheguru is awareness of eternal existence beyond physical body and mind body. Through guru's wisdom in form of Shabad guru, a human first realizes the ocean of their ignorance in which they drown day and night. This ignorance is imminent from spending nights sleeping for hours trying to comfort physical body as the restless minds dances in fear, not providing much need rest. Days are spent in dream state, listening to mind in reminiscence or anticipation of future. The time that has already transpired or has not transpired, is non-existent. Thus, the cunning and intellectuals loose the precious life without having lived it. Under weight of illusions such a man crumbles at holy places, lavish and exotic places and goods that fail to permanently transform life of stress, anxiety, worry and fear. The notion of comfort from physical stuff is a subtle form of illusion or Maya. This is due to ignorance that we only exist as physical body and mind body. This is due to ignorance of demarcation between physical body and mind body. This is due to ignorance to distinguish between needs of physical body and those of mind body. One who accepts their ignorance at Guru's feet, through acceptance creates space in their intellect for Guru's wisdom to make home. This is the beginning of a Sikh (learner from Guru). A Gurmukh realizes presence of creator in creation including self, because of holiness in his own mind. Holiness of mind comes through transformation of each thought, when ignorance (intellect or duality) in every thought is replaced by awareness (wisdom or oneness). 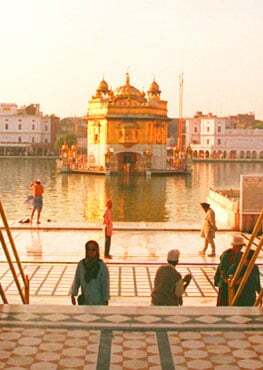 When all illusions stemming from ignorance vanish in eternal wisdom of Shabad, a Gursikh is born. A Gursikh is one who acknowledges their ignorance and learns from Guru (ever prevailing light, omnipresent wisdom). A Gursikh thus abides in supreme wisdom governing the universe having realized everything belongs to one creator, and no one else is like the creator. Ambrosial nectar (Amrit) of total awareness fills every molecule of Gursikh's existence, in union with the creator. State of Gursikh is possible through grace of the omnipresent Guru. Such is the power of Omnipresent Guru. Wah-Guru is uttered upon realization of inner transformation from a mortal to an immortal being. A Gursikh is aware of life beyond perishable physical body and perishable mental body. A Gursikh is aware of their light body or Soul. Soul which is Jot Saroop, like light is to Sun. Jot or Sun being the creator. A Gursikh knows death of physical body is not end of life. Thus a Gursikh is fearless in face of physical death. A Gursikh, whose mind has died or totally transformed into Jot (supreme wisdom), in Guru's Shabad is unperturbed by sly mind seeking things of physical world or when the world does not conform to his needs and wishes. A Gursikh being aware of impermanence nature of things, remains desire less, thus rising above his Karma, living in physical body. One can only imagine what life of a Gursikh be among immortal beings living as fragile mortal beings. This op-ed is of course inspired by SGGS. References to Gurbani are not provided with a purpose. Purpose of this op-ed is to inspire the reader to make the connections and develop deeper understanding and faith in Guru by engaging their own mind in Guru's Shabad. Let us take upon ourselves to become worthy of Guru's grace by using methods provided in SGGS. Let us draw inspiration from all Guru's and their teachings they lived by.